A heavy duty solution for trucks with trucks caps. Designed and built with high quality materials, the CapRac™ is the ideal solution for your truck cap. 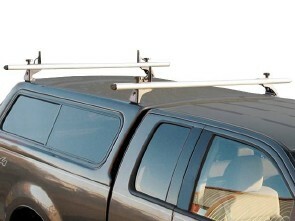 Whether you are carrying building materials to a job site or kayaks to your camp site, this lightweight, aerodynamic rack will help you get the most out of your truck. 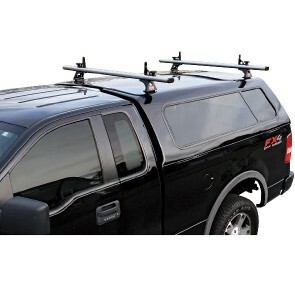 Dual concealed fasteners,powder coated swivel bases and our unique aerodynamic, dual powder coated aluminum crossbars will ensure that your rack not only looks great, but last for the life of your truck and beyond. 2 Dual Powder Coated Aluminum Racks, 4 Sliding Aluminum HD Load Stop / Tie Downs with Quick Release Clamping Knobs. 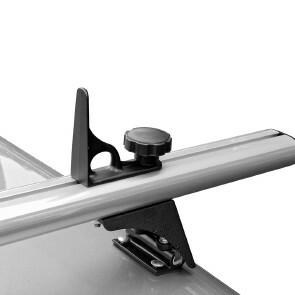 Get a CapRac installed on your Lakeland Truck Cap today!